One of the things that I like about Wendy’s is their commitment to the community. 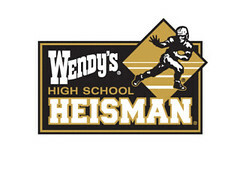 I was recently asked by Mom Central to help promote the Wendy’s High School Heisman program. "With college admissions growing more and more selective, the Wendy’s High School Heisman program presents a great opportunity to help those students who have managed to balance so much, stand out. This award celebrates high school seniors who excel in academics, athletics, and community involvement; in essence, recognizing them for all of the things they already do. Colleges want to see well-rounded students who demonstrate dedication and commitment, making this program especially relevant and accessible. High school seniors who have a 3.0 average or higher, participate in a school-sponsored sport and contribute to their community can apply at www.WendysHeisman.com, or a high school educator, guidance counselor, or coach can nominate them. 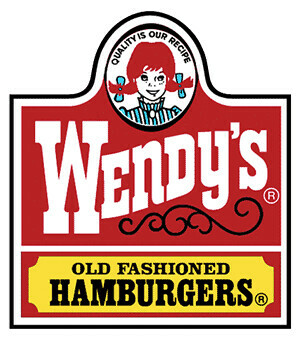 As a little reward, the first 41,100 applicants will receive a free Wendy’s gift card in amounts ranging from $5 to $50. One male and one female from each high school will win the award and continue on in competition for state and national awards. Twelve national finalists will participate in Heisman Weekend festivities during an all-expenses-paid trip Dec. 11-13 to New York City. ESPN2 will feature all 12 national finalists during the Wendy’s High School Heisman Awards Ceremony, which airs Dec. 13. The Wendy’s High School Heisman website will display the names of all applicants and individual school winners on October 22, 2009." As a parent and teacher, I love that this program encourages a well rounded student. Not only are they looking for teens that are good at sports, but they need to do well academically and help within the community. Frequently asked questions are also addressed on the Wendy’s High School Heisman website. This section helps to walk students and parents through the process of applying for these awards. Thanks to Wendy’s, I have a $20.00 gift card to give away to one randomly selected winner. Now you can have lunch or dinner out at Wendy’s for your family. Enjoy a burger, chili, fries, a frosty or something else that you select. MAIN RULE – Answer one of the following questions: What sport did you play in high school? OR Which sport do you wish you had played when you were in high school? 1 Bonus Entry – Add me to your favorites on Technorati. Be sure to leave your user name for me to check in. 1 Bonus Entry – Look around my blog and leave me a comment on another post. Please let me know which post you went to here so you get the bonus entry. 1 Bonus Entry – Head over to my hubby’s blog TechyDad and leave him some comment love. Be sure to let me know which post on the comments here for your bonus entry. To enter, please follow the rules above within the comment section. The giveaway starts September 20, 2009 and ends at 10:59 EST on September 30, 2009. You do not have to be a blogger to enter, but must leave a valid e-mail address for me to contact you for mailing address once the giveaway is over. I will select the winner using random.org and contact you via e-mail. You will have 48 hours to claim the prize. If there is no response, another winner will be selected. Open to U.S. residents only. Disclosure: I wrote this review while participating in a blog tour campaign by Mom Central on behalf of Wendy’s and received a gift certificate to giveaway and to thank me for taking the time to participate. I wish my school had offered Hockey. I just think it would’ve been so much fun! Now my daughter’s school offers it and I hope she wants to give it a try. .-= Cori Westphal´s last blog ..Sophia’s Gourmet giveaway! ENDS 09/26/09 =-. I played volleyball in high school. http://tcarolinep.blogspot.com/ added to my blog roll. .-= Janet F´s last blog ..Friday Giveaway Blog Hop =-. .-= ShootingStarsMag´s last blog ..(Review) A Beautiful Piece of Art =-. .-= ShootingStarsMag´s last blog ..(3 Winners) The Perfect Baby Handbook =-. .-= Cori Westphal´s last blog ..Win a Dyson DC24 at My Wee View ENDS 11/02/09 =-. .-= Cori Westphal´s last blog ..Win an Allergy-Proofing Bedroom Makeover! =-. .-= Cori Westphal´s last blog ..Win a Vtech Bugsby Interactive Reading System Ends 09/30/09 =-. .-= ShootingStarsMag´s last blog ..(Review) Charmed, I’m Sure… =-. Thanks to all that entered this giveaway. The winner will be notified shortly.